Cardiff Open Air Theatre Festival attracts over 14,000 visitors a year. 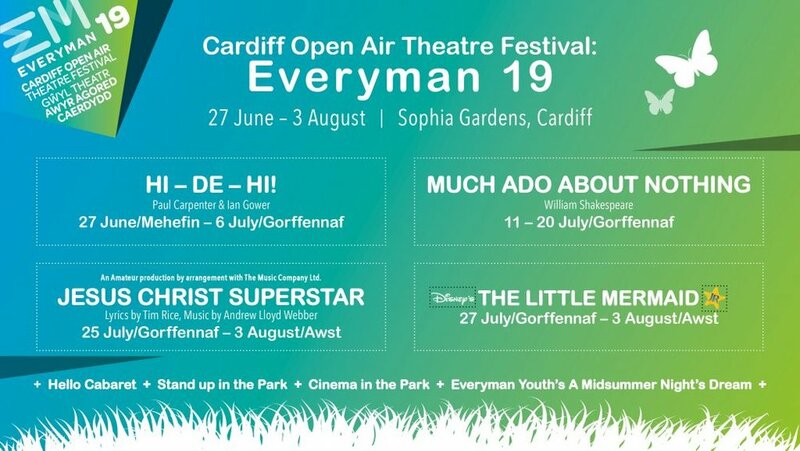 Referred to in previous years as a “summer highlight” by the South Wales Echo, Everyman is proud to stage productions that cater to a wide demographic of all ages. It is their ambition to stage innovative interpretations of our productions that both challenge and entertain their audiences. They stage a Shakespeare Production, Musical, Family show suitable for young children and a Light Entertainment/Comedy production.